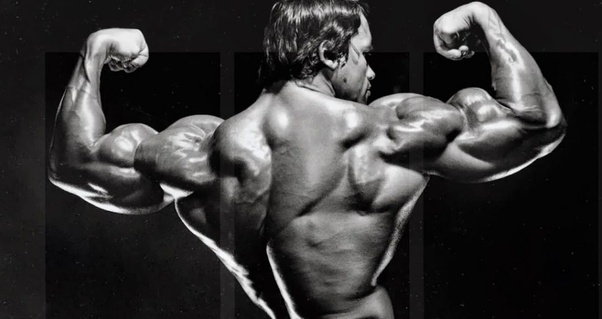 If there is one person on the planet whose advice it would be foolish to ignore with regards to getting a perfect body, it would be Arnold Schwarzenegger. 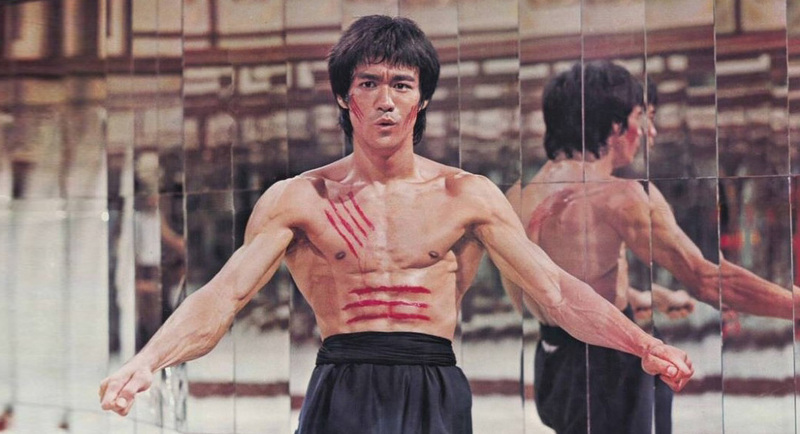 So you want to know how to get a body like Bruce Lee, eh? “Well, obviously you must be a guy when you ask a question like that. Because usually women would say, how do I improve my outer thigh or my inner thigh, there flabby, or the back of the arms are flabby. Or how can I make sure that my breasts are becoming a bit more firm and then they will go to the stomach? But guys, I just saw a guy in Gold’s Gym the other day. An old friend of mine, who always looked muscular. You know something, I did not see him for twenty years later. I’ve seen him for the first time. Again he was still masculine, but all of a sudden he had a gut sticking out to here. It literally looked like he was eight months pregnant. But everything else, the calves, the thighs, and the arms that he trained was still muscular. It was only the stomach because that’s where guys get attacked. It’s a stomach. So the simple rule is, whenever you eat fattening foods, or you get older and your metabolism starts to slow down. Where does it go first? With a guy, it goes to the stomach. But also when you go on a diet. The first place that it leaves, is the stomach. So there is really no specific diet for the stomach. It’s just, in general, you want to lose body fat. Your body fat maybe is at fifteen percent. You want to get it down to twelve percent or to the ten percent. The way to do that is by burning more calories every day then you eat. What you want to do, let’s say to take two thousand. The number two thousand, you want to go and have two thousand calories you eat every day but burn off twenty-five hundred calories a day. And now you a negative of five hundred and everyday use that slowly going down with the body weight down with the body fat. And the first place it will go is at the stomach. So do your stomach exercises at the same time, your crunches. Remember two hundred crunches every day is a must. You shouldn’t even start the day without doing two hundred crunches when you get out of bed. And then you do some sit-ups, leg raises some twists and all those kind of things. Do some bicycling, obviously some cardiovascular work. But also work out with weights. That is how you get your stomach down. And then, of course, don’t forget to do the vacuum, practice the vacuum. The vacuum practices, so that’s when you I’m going stand up right now. You stand like this. If you hold it like that, fifteen seconds, three times fifteen seconds. And now your brain starts remembering, oh one of the functions I have is pulling the stomach in. Not like that, blah. But letting it hang out. But pulling it in, controlling it. Practice every day sitting, standing against the wall. It reminds the back that you got to keep it straight, rather than start slouching down. Like so many guys when they get to be like forty, forty-five. Suddenly they walk around like that, like beaten dogs. I hate that look, so forget about that. Stand against the wall every day and just practice. 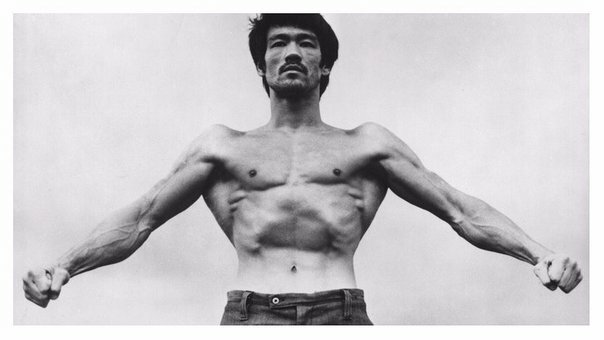 And keep your head back, your chest out, and stand like this for five minutes. It reminds the head, the brain that it has to keep you straight all day, the same is with the stomach, always. It keeps you always pulling in the stomach and remind you not to just let it out without the control. Well, the first advice that I will give you is, not to make the same mistake I made. I went to the weightlifting gym and I asked the guys to train me and then they trained me for two hours. Which was way too much, but I think this was their way of like having fun with me. I was fifteen years old and those champions in the weightlifting club just said try to do this exercise and you got to do that exercise. And you got to take this into five sets, then do ten reps and do fifteen reps and orders. And so then when I was finished I remember I was driving home with the bicycle. I was riding around half an hour, forty-five minutes. Everything was dandy and fine. But then all of a sudden I had no more feeling in my hands. Absolutely the feelings went awry and it was gone. And all of a sudden I landed in the ditch and wiped out with the bicycle because i did not know how to hold on to the bar. And then no more feelings in my hands and then all of a sudden the legs gave out. So I was like walking home. They totally wobbly and it was disastrous. And the next day I was so sore everywhere, so that was the wrong way to start. So what I would do is the simplest, do no more than three sets a body part. There’s no hurry, we’ve done it all these years without it. So now just slowly start with three sets of ten reps for each exercise. Three sets of curls, three sets of tired classics extensions. Three sets of shoulder press. Three sets of squats. Everything three sets and then let it be. And then slowly work up there. Then as soon as you start detecting that there’s certain areas that you develop really well because of genetics and other areas that you won’t develop well that they’re falling behind. Then you know how to make the adjustments to your training, but you keep doing the three sets for the body parts that grow really well. But now increase to five sets a body part, then six sets to those body parts that don’t grow so well and that are falling behind. This is how you can make the adjustments, that’s why I always say, everyone cannot train the same routine. Because everyone has a different body and everyone has different needs. Part of my bodybuilding training was powerlifting, so we did strongman stuff, but I did not do the stone lifting. So he can’t really train with that all year long, but I mean we would do you know lifting, heavy lifting, powerlifting and stuff like that. But I wouldn’t say I did any of the traditional strongman stuff. Like throwing tires and throwing logs through the air. I never did any of that. I think the worst injury that I’ve ever had was my knee injury which occurred in South Africa doing a combination of a squat with the weight lifting platform which moved apart you know, and the legs started spreading apart. I had five hundred pounds on my shoulder and the whole thing started collapsing, the weight falling over. Then the leg straightened out and I was shaking on stage, my leg was shaking and pop. It popped back in, so I said to myself since that was sweating and I was kind of almost passing out. I said to myself that, oh I know I can get up. And they helped me up and I get up. I could walk even though, kind of slow and limp, but since I could walk therefore I could do my posing routine. I just remembered to be careful and then, sure enough, I would do my posing routine. And then the people were screaming and that’s when I got carried away because people were screaming, applauding and giving standing ovations. So I came back out on the stage after the accident, and I totally forgot not to go down to my kneeling shots. Where I had one leg spread out and one leg bent and I’m doing my double bicep pose. And I went down like that and then the knee popped back out again. And then I was like in pain again and I was shaking and then it popped loud again. I mean people heard it all the way in the back row. It was like wild. And so then I had to come back and get knee surgery and then the doctor said you know its cartilage surgery, meniscus, the knee cap was moved to the side. The tendon was torn and I mean blah, blah, blah, everything was wrong with the knee. But I had a good doctor by the name of Dr. Carter from Curling and Choke in their office here. I had a good physical therapy afterward. And within four months I could start squatting again and for the MSL in 1973 Mr. Olympic competition. And my thighs were actually the best in 1973 because that really paid close attention to this using the priority principle. You know Children always talked about the priority principle, I did thighs first from now on, but this how from that point on and I really paid close attention to it. But whenever someone asks me what is my favorite, what is my favorite book, what’s my favorite exercise, what is my favorite line, what’s my favorite movie. I never can answer it because there really is no such thing as the one favorite. I can give you a few. I mean I think that the ones that are the most common out there, the most popular one’s day. I’ll be back, hasta la vista baby, when I ran my fist in your stomach and I’ll break your God dame spine or we shouldn’t drink and bake. Or if it is hasta la vista baby, I’ll stick around doctor and I stick the guy with the knife in the chest, all of this. I think these are all cool lines and I think the trick of it is just not just what you say, but how you say it. It’s all about the attitude because people really enjoy the attitude about the whole thing. I think it was like when I was sitting in Commando in the airplane and this big monster black guy was supposed to guard me and then I just broke his neck in the plane quickly. And then the way the stewardess came, the flight attendant came. And she says, can I help you, and I say will just leave him alone. Just let him sleep because he’s dead tired. You know it’s just the way I said it because he was dead, he’s dead tired. You know I think that she didn’t know what I was talking about. But the audience knew what I was talking about so that’s what actually made the line funny. The beach is right over there. And it’s very important that you follow it all the way over there. And then, of course, it’s very important that we may drink, that we do it the right way.